One of the most important and highly cultural cities on the Eastern Seaboard, Baltimore, Maryland is a beautiful location to live, work, and play. Baltimore is the second largest seaport in the Mid-Atlantic states, and is home to major universities, research centers, and hospitals including Johns Hopkins Hospital, Johns Hopkins University, and Loyola University. The Baltimore housing market is really heating up. While sales in Baltimore slowed down for several years, 2014 saw incredible growth, and 2015 is shaping up to be the same way. Prices are steadily rising in popular neighborhoods, and Baltimore has quickly become a seller’s market. 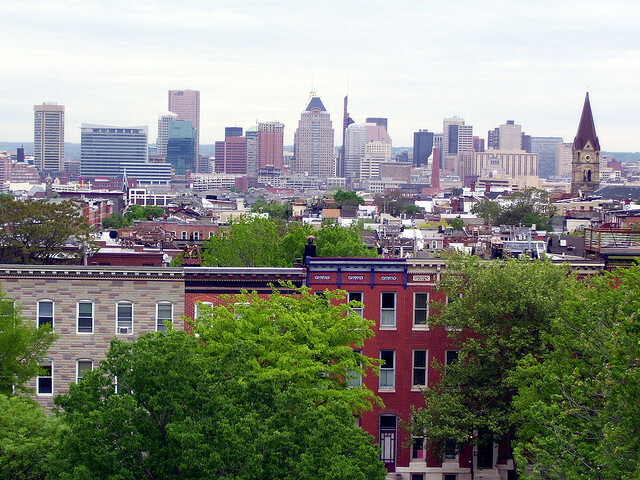 In fact, CNN Money named Baltimore one of the 10 hottest housing markets for 2014. With a swinging home market in an incredible city, Baltimore is a great place to be for real estate today. And whether you’re buying, selling, or investing, it’s smart to have a qualified, professional Realtor to back you up. We’ve highlighted the best Realtors that the Baltimore real estate market has to offer: professionals with experience, great reviews, and excellent qualities like honesty, integrity, and perseverance that every client needs for a successful real estate transaction. While any one of the Realtors we’ve highlighted here is qualified to successfully represent real estate clients in Baltimore, we want to know which one is really the best. That’s why we’re asking you to vote in our poll at the end of the article and tell us which Baltimore Realtor you think is the best! But don’t wait: vote today, because our poll will close in 30 days! 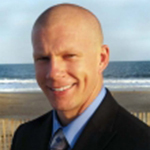 An experienced Baltimore Realtor with more than 11 years in local real estate, Tim Kenney has a long track record of successful sales and completed transactions. Kenney and his team specialize in assisting buyers and sessers in the Baltimore metropolitan area. Kenney’s goal is to turn every customer into a repeat client with successful, life long relationships. Clients say Kenney is gifted and helpful even when faced with difficult situations requiring expert advice. Suzie Coronel is an experienced Realtor with a background not just in real estate, but design and marketing as well. She is a powerful ally for buyers and sellers alike, allowing buyers to visualize potential and sellers to capitalize on staging, value, and market knowledge. Coronel is an aggressive agent that is always willing to put in the time and effort necessary to deliver excellent service to her clients. Her clients say that she is highly knowledgeable, hard working, and a true professional. Broker and co-owner of Henslee Conway Real Estate, Missy Conway offers clients an excellent track record of real estate as well as a bacground in mathematics and finance. 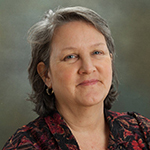 Conway has a background as an insurance industry actuary, and served as a professor of mathematics prior to starting her career in real estate. An expert negotiator, Conway is an asset for residential home buyers and sellers as well as commercial investors. She is active in the community and serves as the president of the Ruxton Crossing Homeowners Association, as well as membership on the Stevenson University School of Business Advisory Board. 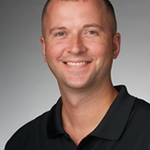 A high producing Baltimore real estate agent, Jim Gunsiorowski prides himself on offering a stress free transaction for every client by listening to their needs, offering extensive education, and providing his clients with effective communication. Gunsiorowski specializes in residential sales, assisting first time home buyers, downsizing empty nesters, and real estate investments. He is particularly interested in the rehabilitation of properties in Baltimore’s Inner Harbor. Gunsiorowski’s clients say he is a professional in every way, providing them with expert information, but a laid back, reassuring working style. They feel he always has their best interest in mind, and is always extremely helpful without putting pressure on clients. Red Cedar Home Sales broker Peter Boscas has been involved in real estate since 2001, when he began buying a renovating homes in mid-state Pennsylvania. A Realtor since 2002, Boscas has made it a point to offer his clients dedication, attentiveness, and excellent communication skills. He encourages others to improve their real estate service as well, and since 2005 has taught continuing education and licensing courses to other real estate professionals. Ultimately, it is Boscas’ goal to offer clients an enjoyable, fun, and worry free home sales and buying process. His clients say they wouldn’t hesitate to use him again, and they love his unbelievable customer service, attention, and top notch negotiation skills. 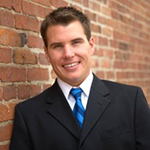 Realtor Chris Drewer brings extensive experience to every client buying and selling homes in the Baltimore area. With more than 11 years as a Realtor, Drewer understands the Baltimore market and is an expert in buying, selling, marketing, and negotiating homes in the area. He loves to help clients find the home of their dreams, as well as ensure that they get the best price for their properties. Drewer is always available for personal service by phone or email. Clients say he can’t be beat for local knowledge, and he has great contacts and recommendations for services from financial services to inspections and pest control. 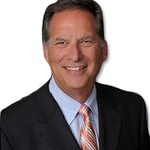 Owner of Goodman, Realtors, Andrew Goodman became a Realtor in 2004. 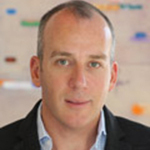 Prior to his start in real estate, Goodman was (and still is) a partner in his family’s development company. This background in construction has given Goodman unique insight into real estate, and has helped him give his clients a better understanding of homes and home ownership. Clients are Goodman’s passion, and he guarantees that his customer service and attention to detail can’t be matched. Clients love that they can relax when they’re in his capable hands because they know he will not only make them feel at ease, but deliver fantastic results every time. Gretchen Conley is a highly knowledgeable Realtor serving the Baltimore area and beyond. She is an expert in pricing strategy and home marketing, and offers excellent strategies for home buyers working to save money on their transaction. Conley knows how to negotiate, and is an asset to every client, whether they’re buying or selling. She is a member of the National Association of Realtors, the Howard County Association of Realtors, and is a former chair of the legislative committee and treasurer of the Howard County Million Dollar Club. Conley is a Certified Residential Specialist, and holds a number of real estate designations. Her clients say she makes the home buying experience pleasant, offering sincere and honest suggestions as well as professional expertise. James Weiskerger is a native of Maryland, it always excited to help clients buying and selling in the place he calls home. Weiskerger is careful to listen to the needs and goals of his clients, and makes it a point to maintain an excellent network of professionals and community contacts that his clients can benefit from. His reputation has been built on providing honest, professional, and highly competent service to his clients. Weiskerger’s clients say that frankly, he makes all other Realtors look bad by comparison. He always goes the extra mile and ensures that his clients are treated fairly, and bottom line, is just a great person to have on your side when you’re buying or selling a home. Owner and broker of Results 1 Realty, Clausen Ely is proud to serve the Baltimore area. A native Marylander, real estate has been Ely’s focus since 2003. His passion for real estate, and Baltimore real estate in particular is evident not just in his services as a Realtor, but in his work with residential and commercial investment properties that he owns. 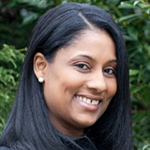 Ely boasts desinations in short sales and foreclosures, online sales, and is a Graduate of the Realtor Institute, member of Anne Arundel Board of Realtors, and a member of the Greater Baltimore Board of Realtors. Ely’s clients share that they think he’s simply the best, willing to go above and beyond expectations with patience, clarity, and a smooth, efficient process. With more than 30 years of experience in real estate, Marty Saunders is qualified to help buyers, sellers, and investors in both residential and commercial real estate in the Baltimore metropolitan area. Saunders is committed to offering his clients the highest level of expertise in the local market, and has a remarkable track record of excellent results. 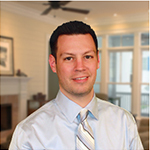 He’s committed to being knowledgeable, trustworthy, and to helping his clients achieve their goals in real estate. His clients say he is professional, patient, and enthusiastic about working with them, and genuinely makes himself available for his clients any time they need him, whether it’s during inclement weather or holidays. They say he offers a level of service that is truly impressive. James Durkin, III is real estate agent at ExecuHome Realty. 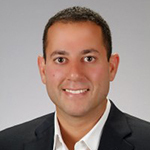 He has been working in real estate since 2006 and has combined his love of finance and real estate to serve real estate investors, home buyers, and home sellers. 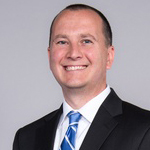 Durkin uses his years of trading experience to help his clients get the most out of every transaction. He offers services to clients for everything from starter homes to luxury waterfront properties. 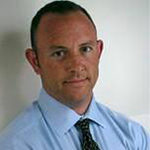 A highly professional Realtor in Baltimore, Brian Cusick is a partner in Central Properties. With excellent education and experience in real estate, Cusick offers a high level of real estate expertise that clients appreciate. 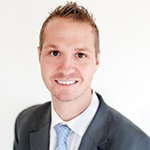 He provides clients with excellent knowledge, pricing, proven strategies, and incredible negotiating power. He is proud to participate in the community by supporting the Smithsonian American Art Museum, Food and Friends, and the Hillwood Estate Museum and Gardens. Clients call their experience with Cusick flawless, and appreciate how available and responsive he is. 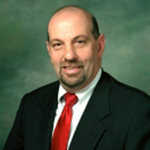 Maynard Gottleib is one of the leading discount brokers in Maryland. He offers home sale listings for a flat fee, with full service customer attention and resources that allow home sellers to be in control of their sales transactions. Gottleib has more than 45 years of real estate experience, and more than one million in closed properties. He has been featured in the Baltimore Business Journal, Baltimore Magazine, and The Baltimore Sun as a real estate expert. Maynard’s clients appreciate that he is responsive, prompt, and always does an outstanding job. 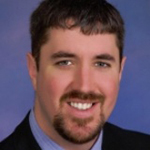 A graduate of Loyola College with 10 years of experience in real estate, William Ganz is actively involved with assisting buyers and sellers in central Maryland. Ganz is frequently quoted as a Baltimore real estate expert, and has been featured in The New York Post, The Baltimore Sun, Personal Real Estate Investor Magazine, and Curbed.com. He is proud to be involved and give back to the community, working with agencies including The United Way, Our House, Boys and Girls Clubs of America, and The Columbia Association.